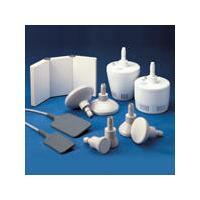 Mettler Soft-Rubber Applicator for use with Mettler Auto*Therm 395 Shortwave Diathermy (MET-ME395). Shortwave Diathermy & Accessories can be found in our extensive online collection of products from globally recognized and trusted brands, including Mettler Electronics. An excellent option to consider is the Mettler Soft-Rubber Applicator with Flexible Cable for Auto*Therm 395.